With three horses in the Grade 1, $500,000 race, the trainer is good position to come out on top. For the last four weeks, Sistercharlie and A Raving Beauty have been sparring against each other in the mornings. Saturday afternoon, these two top turf females will duke it out with a Grade 1 victory on the line in the $500,000 Diana Stakes at Saratoga. Sistercharlie and A Raving Beauty along with the multiple Grade 1 winner New Money Honey give trainer Chad Brown a strong hand as he seeks his third consecutive victory in the Diana, the first Grade 1 race of the Saratoga meet. 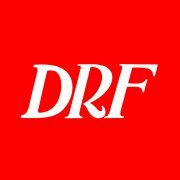 Brown has six of the 10 ranked turf fillies and mares in Daily Racing Form’s Watchmaker Watch, a divisional ranking compiled by national handicapper Mike Watchmaker. Sistercharlie, winner of the Grade 1 Jenny Wiley and tough-luck loser to stablemate Fourstar Crook in the New York, is ranked on top. A Raving Beauty, recent winner of the Grade 1 Just a Game, is third, with Fourstar Crook second. Proctor’s Ledge, ranked fourth, is also in the Diana field. Sistercharlie, an Irish-bred filly owned by Peter Brant, came off an eight-month layoff to win the Grade 1 Jenny Wiley at Keeneland at 1 1/16 miles, a performance that gives Brown confidence she will handle the 1 1/8-miles of the Diana. “She might have been looking for more ground,” Brown said. Sistercharlie ran a remarkable race in the 10-furlong New York Stakes at Belmont. There was a run-off speed horse in that race, and Sistercharlie found herself 28 lengths off the pace. She launched a bid on the turn and fell a head short of Fourstar Crook at the wire. “Hopefully, she gets better position in this race,” Brown said. Sistercharlie will break from the rail under John Velazquez. A Raving Beauty, a German-bred mare owned by Michael Dubb, Michael Caruso’s Bethlehem Stables, and Sol Kumin’s Madaket Stables, is coming off a victory in the Grade 1 Just a Game going a mile at Belmont Park. New Money Honey, a Grade 1 winner at 2 and 3, is coming off an allowance victory at Belmont on June 21 in her 4-year-old debut. The major threat to the Brown trio is Proctor’s Ledge, who is very live in this spot. Last summer, Proctor’s Ledge won both the Lake George and Lake Placid at Saratoga, overcoming slow paces in both races. This Diana does not appear to have much pace, either. Hawksmoor won the Grade 3 Beaugay and Grade 2 New York on the front end last year. 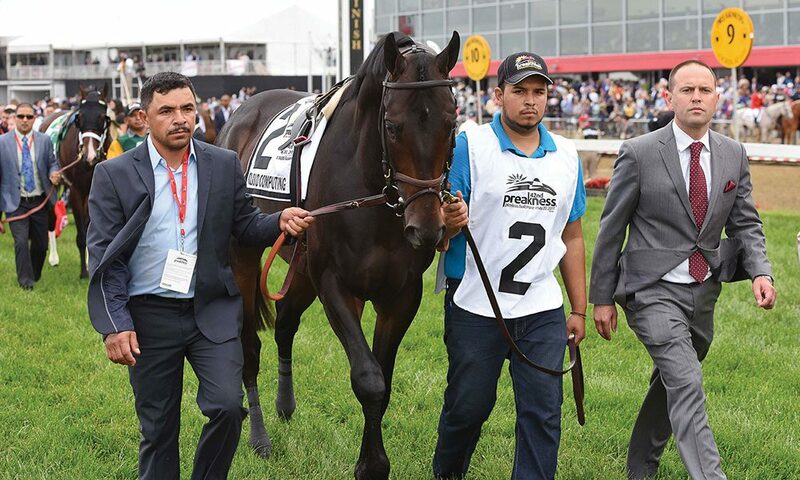 She stumbled badly at the break of the Grade 1 Gamely at Santa Anita in her most recent start, and then missed a start in the Dr. James Penney Memorial at Parx when that race was canceled due to heat. Trainer Graham Motion nearly stole last year’s Diana with Quidura, who was run down late by Lady Eli. Saturday, he sends out Ultra Brat coming off an impressive victory in the Grade 3 Gallorette, run over a bog at Pimlico. Longshot War Canoe completes the field. The Diana goes as race 10 on an 11-race card that also includes the Grade 3 Sanford for 2-year-olds. ◗ She might have won the deepest female turf race of the year when she took the Grade 1 Jenny Wiley at Keeneland. ◗ Her breezes with A Raving Beauty have been spectacular. ◗ After winning the Grade 3 Beaugay off a 5 1/2-month layoff, she turned around in four weeks to win the Grade 1 Just a Game, beating Proctor’s Ledge. ◗ Her stalking style may get her first run on Sistercharlie. ◗ Gets an eight-pound shift in the weights from A Raving Beauty, who beat her by three-quarters of a length in the Just a Game. ◗ Loses John Velazquez, but picks up Jose Ortiz. ◗ Has shown to be dangerous when allowed to have things her own way on the front end.